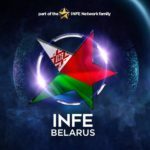 INFE Poll 2019: The votes from INFE Belarus are in! 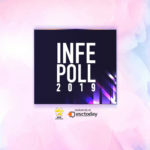 Following the successful INFE Eurovision polls of the last two years, the INFE Network will be holding for a third concecutive year its Eurovision 2019 poll in collaboration with the leading eurovision site of ESCToday, which will be presenting daily exclusively the votes coming accross Europe and Australia from local INFE club members. A total of 21 INFE clubs from Europe and Australia will cast their votes, while 4 more clubs from Rest of the world will provide us the 22th set of votes. Duncan Laurence from The Netherlands receives his first set of 12 points and settles in second place, just 1 point away from Switzerland, which remains at the top. With 25 points overall, Italy ranks third at the moment. INFE Belarus was founded in April 2015. Recently the club was really active withing the Junior Eurovision event hosted in Minsk, Belarus The Belarusian INFE club is highly active within the INFE Network since joining, offering new and innovative ideas within the network’s development.